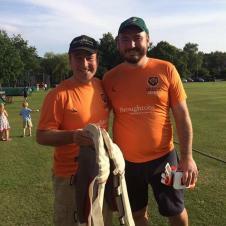 the Village Cricket Challenge, the brainchild of residents Paddy Mulvihill (NLCC committee member), Scott Raynor and Simon Storey, aimed at encouraging reluctant and former cricket players to engage with the Club and the sport. 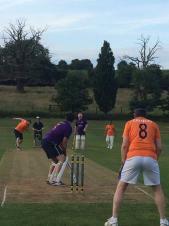 The Challenge involved four teams of eight players representing different parts of the village taking part in a limited over tournament played over three days. Kitted out in their team colours, the Main Street Maniacs defeated the Grey Crescent Grizzlies in the first semi-final and went on to meet the Bradgate Braves, victors over the Newtown Knights, in a final in front of more than a hundred spectators on July 9th. 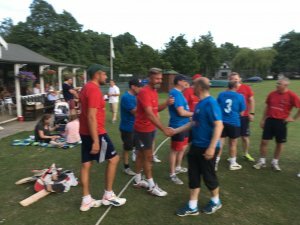 The standards may have not have been as high as the cricket normally played at Newtown Linford but the atmosphere, spirit and excitement was plain for all to see. 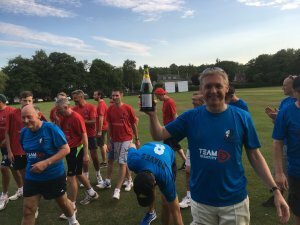 With the Braves conquering the Maniacs to become the inaugural champions, Jon Dale, chairman of NLCC, was delighted to see so many local residents enjoying the Club's impressive facilities and playing cricket again. 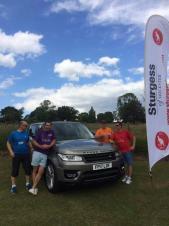 Thanks to local sponsors Broughtons of Anstey, The Griffin Inn, Swithland and the Bull's Head Ratby, as well as Sturgess of Leicester (who donated a Range Rover Sport for the weekend as a raffle prize), the event also became a great fund-raiser for the Club. 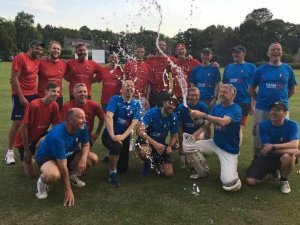 With players ranging from 25 to 73, of all abilities, and with the Rector joining in too, it was a huge amount of fun and plans are already in place to do it all again next year. Well done to all the players and organisers, and if you want to take part in 2018 do contact Scott, Paddy or Simon. 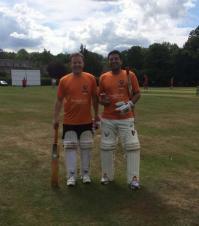 For the first time in my life I felt like a 'ringer' as I turned out for the Braves in the final against the Maniacs. 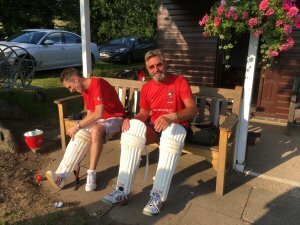 Delighted to be involved in this intra-village competition despite living 'abroad', delighted also not to embarrass myself too much in the field or at the crease. It was a wonderful week of sport, bringing often separate parts of the village community together and giving opportunities for new friendships to be built. Definitely something to look forward to next year. Thank you to those who organised it so well, drawing in so many people. Oh, and did I mention my team won?